Take the train to Union Station. Yes, LA has a metro. Ride it, take note of its uncanny timeliness (trains arrive on schedule to-the-minute). Observe the diversity of the ridership. Check out the neighborhood-centric art at the stations. Walk around Union Station, gawk and its beauty, and realize that there is both history and architecture in LA. Go to the dives like the Down and Out, Bar 107 and King Eddy’s Saloon (John Fante drank there). Then, go to the swanky spots like Seven Grand, Varnish and The Edison. Tip: Do this on a Wednesday or Thursday for maximum enjoyment, and minimum crowds. Get a steak and a martini at Musso and Frank. Musso and Frank is not only in the heart of old Hollywood, but also embodies the heart of Hollywood. It’s been there forever, and so have its waiters. Charlie Chaplin was a regular. Tip: Take the train, wander the area. Do not drive into Hollywood. Seriously, don’t do it. See a movie at The Vista. Screw the Arclight. The Vista is king. It’s an old-style movie theatre with a grand, gilded ceiling, red velvet curtains, and a gem of a manager. Ride your bike from Santa Monica to Hermosa Beach and back. You can rent bikes for $20/day at any of the major beaches. This activity will leave you dripping with gratitude for life and its wonders. I do not exaggerate. You’ll see dolphins and surfers and the weirdos of Venice, and you’ll feel like you’re in paradise. Because you are. How to Love Los Angeles will be a monthly post. I’ll list five different things to do every month. Do these things and you’re guaranteed to uncover LA’s unique charm, and fall irreversibly in love with this city. No looking back. 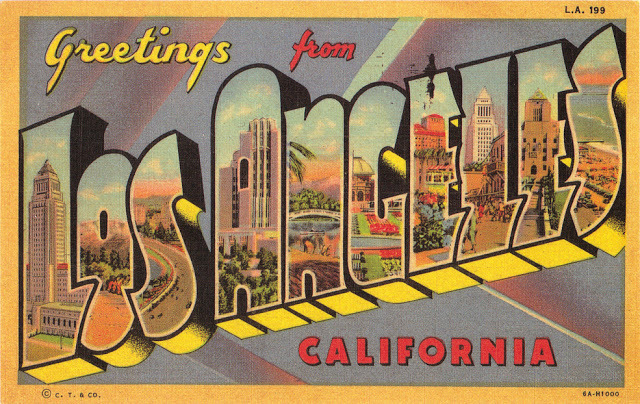 This list was for beginners – those new to LA, or those only here for a day or two. I’ll get into things like art, culture, theatre and entertainment in later lists. i need to get one of those steaks! Yes, do. Get one from the original charcoal fired grill. It's over 80 years old and infuses the steak with a smokey taste of the ages.